Gale Hawthorne: [as Katniss almost shoots him] Whoa, whoa. Easy. Saw some turkeys on the way here. Crossed right in front of me like I wasn't even there. Gale Hawthorne: That's what happens. You spend six days a week working in the mines and stupid birds start to think they own these woods. Gale Hawthorne: When's the tour leave? Gale Hawthorne: Well, let's go. Q: Why didn't Gary Ross return to direct this? Q: What is the logo shown before the credits? Q: Is 'The Hunger Games: Catching Fire' based on a book? I was lucky enough to be able to watch the movie one week early, since it opened here in Brazil one week before the release in the US, and I must tell you this fellow The Hunger Games fans, even though my English is not even that good: Catching Fire is a GREAT experience, and one that improves over the first film in nearly every possible level. When I first read the books, I thought that they were not only incredibly addicting and fun, but also with an important message for the youngsters (and every other person, age is not important) who read it, and that made it different from some of the other uninteresting YA books around. I really liked the trilogy, and when I watched the first adaptation, I was disappointed with some aspects and routes they went with it. It was not an horrible movie, at all, but it was not very faithful to the book and lacked the impact I found in the novel. With that in mind, I kept my excitement in close watch with Catching Fire and went expecting a good movie and nothing more. I was welcomed with an excellent surprise: the movie followed the events of the novel whenever possible and brilliantly so, while managing to keep me on the edge of my seat, even though I knew what was going to happen the entire time. I won't go into details about the plot of the movie, some fellow reviewers already did it probably better than I'll ever do and the chances you're familiar with it are high. So I'll go right into the review and my opinions on the picture. Francis Lawrence was nothing short of an excellent choice for the director's chair: gone are the shaky camera action (one of my major problems with the first film) and welcome are thrilling and pumping action scenes that expertly convey the tension and ferocity of the moment. He managed to keep the violence and shock without ever crossing the line, and whoever read the books know how important this is; it's part of the plot, of the criticism and one of the main elements that make the whole point of the film. He keeps you interested and invested in the story even when nothing bombastic is happening, and that is a great achievement, something that really sets this sequel apart. But Francis is not alone on making this movie special. His young and talented cast, lead by the always amazing Jennifer Lawrence, is ferocious and eager to invest in their characters, making you an ally (or an enemy) while watching everything unfold. 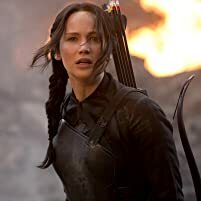 Lawrence shows us again why she was the perfect choice to play the now iconic Katniss Everdeen: she makes you root for this young, brave lady every single minute of the struggle; with her sad, hopeless stare that pierces your soul to her ability to convey admirable strength when everything seems to be out of reach are phenomenal and she deserves the praise she gets. The rest of the cast is uniformly good, but I have to highlight Jena Malone, who plays the explosive Johanna: her presence makes the screen on fire whenever she's in, mixing the perfect amount of attitude and humor. A particular scene involving an elevator and a fancy dress is at the same time hilarious and shocking, just like her character. Donald Sutherland also shines as the menacing president Snow, in a restrained performance that doesn't need too many words spoken to make you think twice on how dangerous he is. The set pieces are also vastly improved upon: bigger, more ambitious and work perfectly in sync with the action to make for some really unforgettable moments. The arena looks beautiful and foreboding, hiding it's dangers behind the shining green water. So does the bizarre Capitol and the Districts, full of sadness and fear, two dichotomies in every aspect. 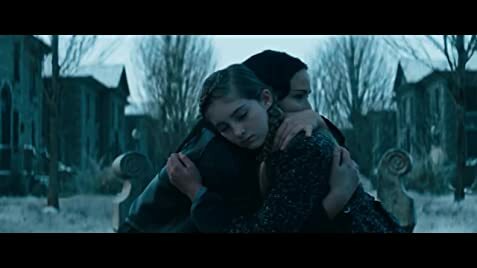 But what I really liked about the movie was that they didn't shy away from the political aspects from the novel and conveyed the despair and oppression imposed by the Capitol over the rest of Panem. It makes you think that all of this is happening around the world, in one way or another, maybe masquerade, but it is. It's sad that many teenagers are only in this ride for the hot action and beautiful people (some screaming girls in the movie theater I went only confirm this. They were not the majority, it was packed and most people were also extremely annoyed by it too - every time Finnick appeared it was a screaming hell). It has so much more to offer. 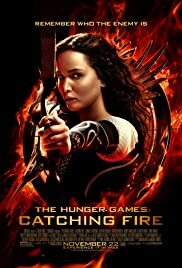 The Hunger Games: Catching Fire not only improves vastly upon it's predecessor: it's a great cinematic experience by itself, touching on important topics about the modern day society without losing it's thrilling core. It's not perfect, but what it does right it goes right into the bullseye. Don't let the hype or the teen fury on this fool you: it is entertainment at it's best. 343 of 619 people found this review helpful. Was this review helpful to you?